Twenty One Pilots brought the house down at their Sunday night performance at Bunbury Music Festival in June. The band released their latest album, Blurryface in May. 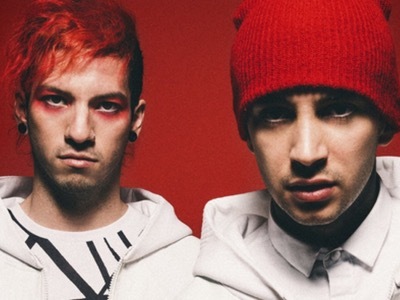 Twenty One Pilots formed in 2009 and started building a huge fan base across Ohio and the Midwest by touring and using social media to interact with fans. Twenty One Pilots always put on an amazing live show with surprises up their sleeves for the fans. The video for “Lane Boy” was released today! Were you at Bunbury Music Festival for this?! Check out their latest video and see if you made the cut!